I hope your week is treating you well so far! 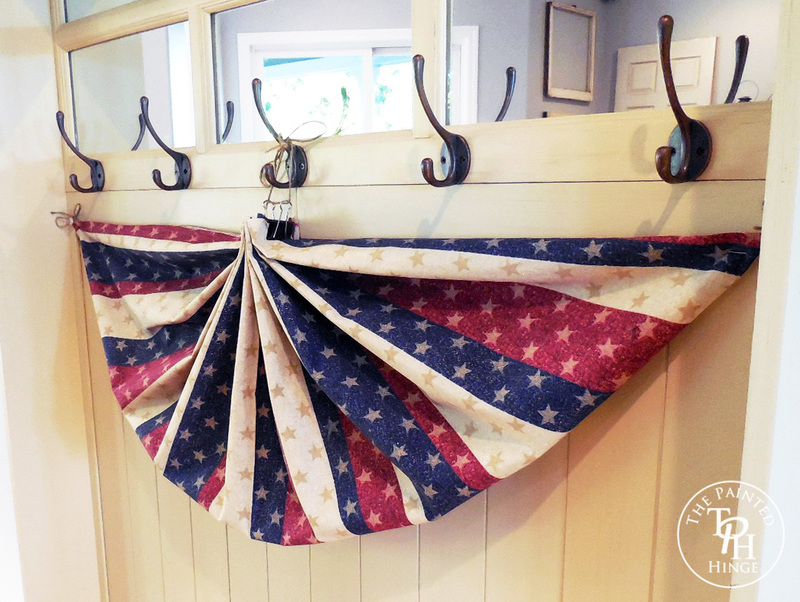 This no sew bunting is super easy to do! 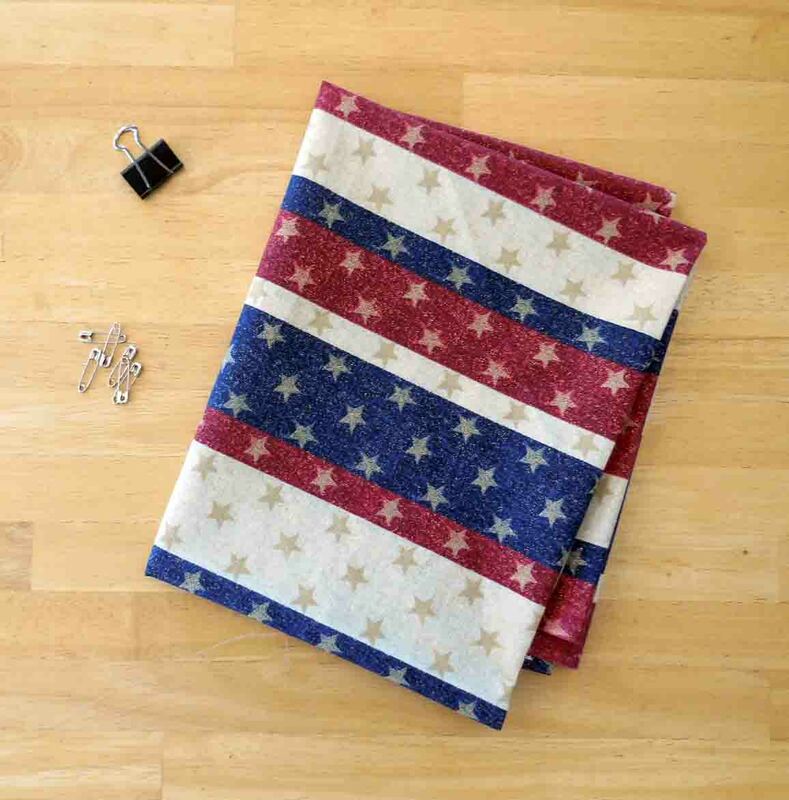 It’s a great way to take advantage of all the 4th of July fabric that is going on sale around now. It’s even simple enough for kids to do (as long as they are old enough to handle safety pins). Fold the fabric in half lengthwise. 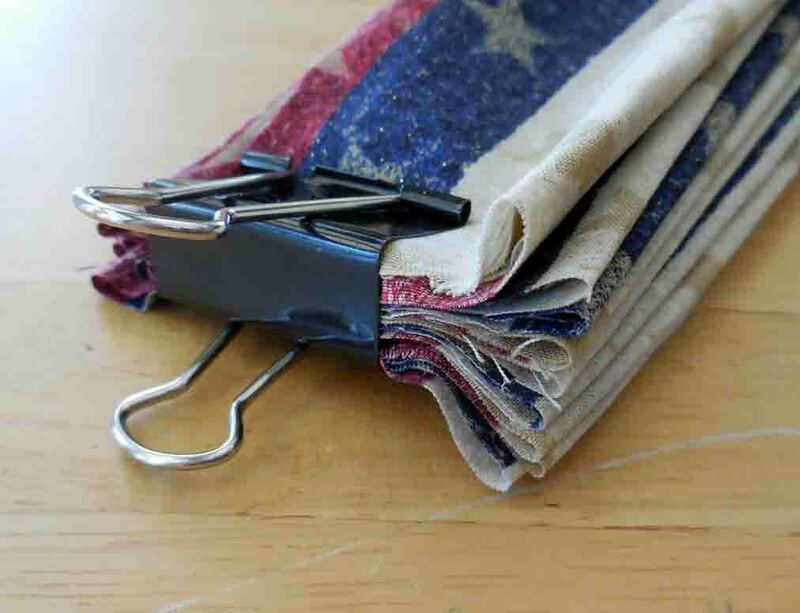 Fan fold the fabric lengthwise and clip the rough edged end with the binder clip. Fan out the folded edge on either side of the binder clip, allowing the bottom of the wrong side to rise up naturally. 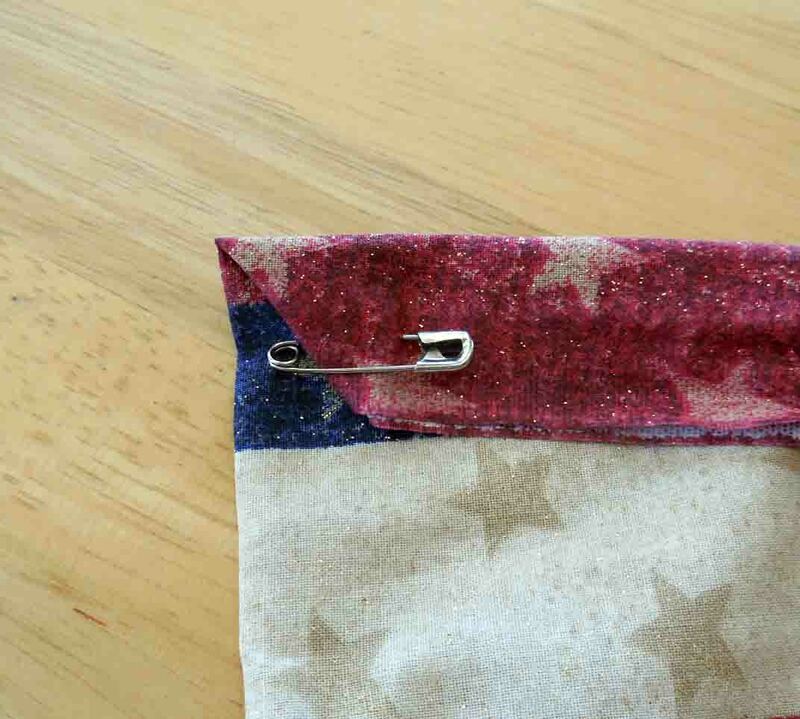 Fold the top 1″ of the bunting on the wrong side and pin each corner with a safety pin. 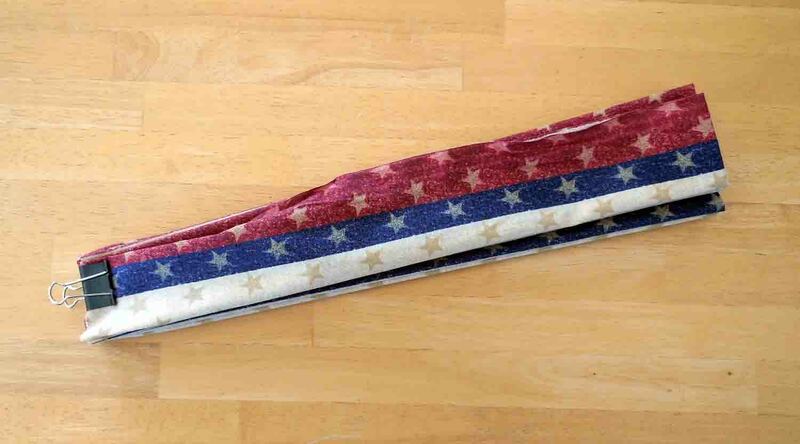 If you would like to make this bunting double the size (3′ x 6′), get 2 yards of fabric instead of 1 and follow the directions above, except instead of folding the fabric in half lengthwise, fold the bottom edge 1″ lengthwise and secure with safety pins. If the bottom edge is not rough, you can skip this step. I hope you enjoyed this tutorial! 🙂 Please let me know what you think! Love the bunting! Simple-my knd of project. Wondering where you found your fabric and if you know the company’s name that made it. Hi Cindy! I’m glad you like the bunting! I got the fabric at JoAnn’s; I’m sorry but I didn’t take note of the brand name. I hope that helps! This is awesome Michelle! Thanks for sharing at Happiness Is Homemade Link Party! Can’t wait to see what you share this week!